Enjoying a warm and relaxing afternoon lounging by the pool is impossible if you can’t get comfortable. Unfortunately, not all lounge chairs are created equal. Reclining fully on a typical lounge chair is uncomfortable, and even downright painful, for many people — especially when positioned face down. 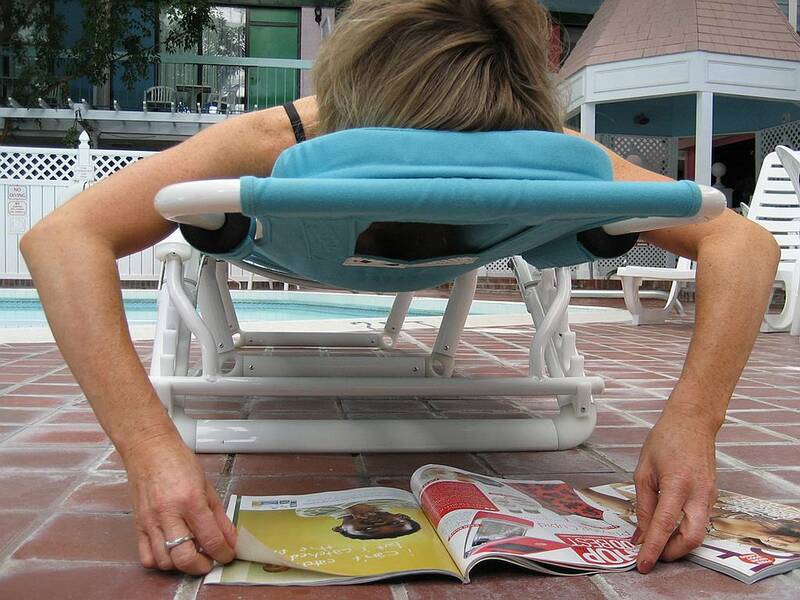 Back pain and neck pain are the result of a lounge chair’s poor body support. The Ergo Lounger Spa is a therapeutic lounge chair that can be enjoyed poolside or in any outdoor living area. The Ergo Lounger offers neck and back support so that your body is supported in any position, whether sitting straight up or fully reclined. The comfortable head support doubles as a face pillow when you wish to lie face down. The face pillow has a hole in the center, similar to that on a massage table, so you can enjoy reading or dozing without straining your neck. The point of a lounge chair is to offer relaxation, but most lounge chairs aren’t designed to properly support the body. As a result, they don’t provide adequate comfort and can actually exacerbate existing aches and pains. Finding true relaxation in a lounge chair means finding the right lounge chair. For many people, the Ergo Lounger Spa chair offers the ideal solution.